Burna Boy has been caught on camera assaulting a fan who was cheering him at his concert in the southern region of Africa. Burna boy who has been in scintillating form musically since the start of 2018 is currently on a world tour which started with concerts in African countries. However, while performing at one of his concerts in Zambia, an incident happened that many fans have started condemning on social media. In the middle of his performance the crowd was seen rubbing Burna’s legs, being all over him and cheering him at the same time. But all of a sudden, the mood just switched as Burna Boy kicked a fan on the face. The video of the incident has circulated social media and drawing loads of criticism to Burna. On seeing the criticism being directed to him, Burna addressed the video of the incident and also tendered an apology. He said he was trying to get robbed and that was why he kicked the guy. “I am sorry about how it looks but this person continuous tried to rob me on stage. It was like the 10th attempt to do it after telling him several times to stop . This wasn’t a fan. Apologies for how it looks but it’s not the case at all. 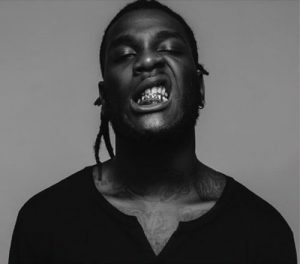 I appreciate all my fans,” Burna wrote. The incident has however been escalated by Zambians, saying Burna should be muted in the country for such ridiculous and unappreciative actions.